Meet Francis, the JMU Therapy Dog! 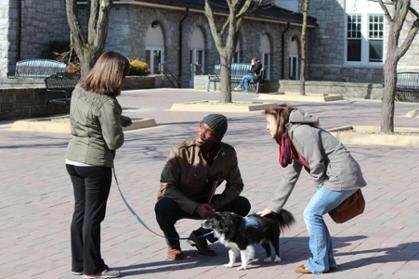 I’m sure you all have heard whispers, but have you ever actually met the JMU therapy dog? 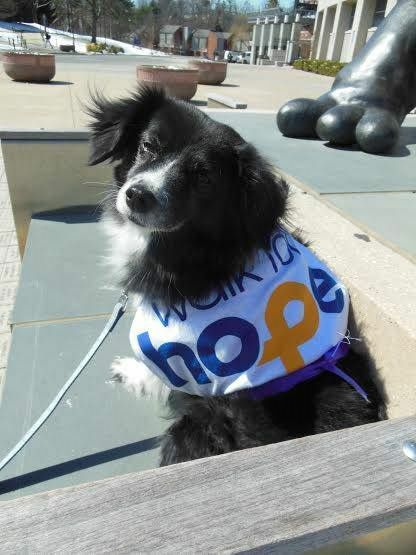 His name is Francis, he’s a 9 year old collie mix and he’s owned by Dr. Colleen Tennyson, MD, a physiatrist at the JMU counseling center. Dr. Tennyson also manages the Animal Assisted Therapy program! Francis was adopted from the SPCA in 2009, and it took a full year to train him to be a therapy dog. 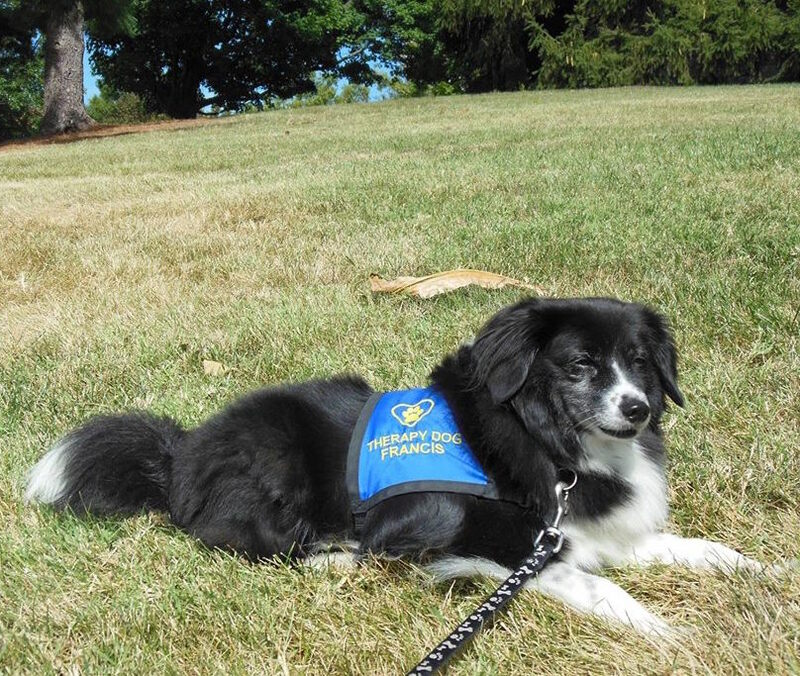 He was certified as a therapy animal in 2011 and began working with students that spring semester. Being a therapy dog is harder than it looks. A therapy dog must be calm, friendly, and must also be okay with strangers touching and interacting with them. Luckily, Francis is a very friendly dog! He attends counseling sessions with Dr. Tennyson in order to help put others at ease. Francis offers a comforting presence during stressful times and is able to help students who might not be willing to attend therapy, find a reason to keep going. 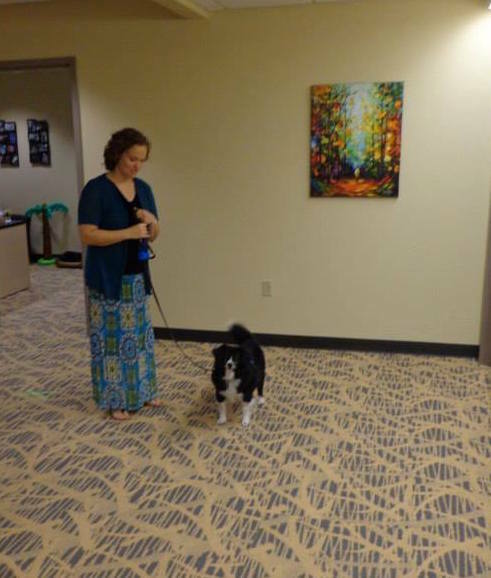 Francis helps Dr. Tennyson show off the many benefits of Animal Assisted Therapy. According to Dr. Tennyson, “Animal assisted therapy (AAT) involves intentional, goal directed use of an animal in a therapeutic setting. 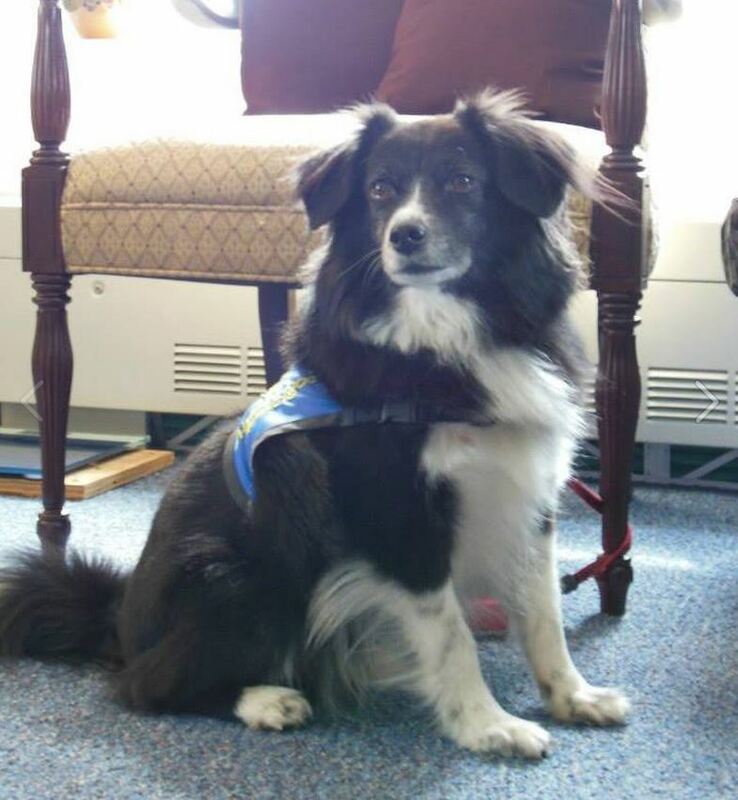 AAT is not just bringing a pet to work.” Francis wears a vest to identify him as a therapy dog -not to be confused with a service dog- and to let people know that he may be petted. Service dogs should never be pet without permission from their owners. Francis also participates in campus outreach. He walks around campus and greets students and faculty he sees around campus. Also he attends campus and counseling center events as an official counseling center staff member. In his spare time Francis lives with Dr. Tennyson and enjoys napping, going on walks, being brushed and chasing squirrels. If you want to meet Francis then hang out around the counseling center and you just might see him.He works twice a week, and usually is able to see between 8 and 10 students.While his schedule is very busy this semester, you can also contact Dr. Tennyson herself if you would like to set up an appointment. 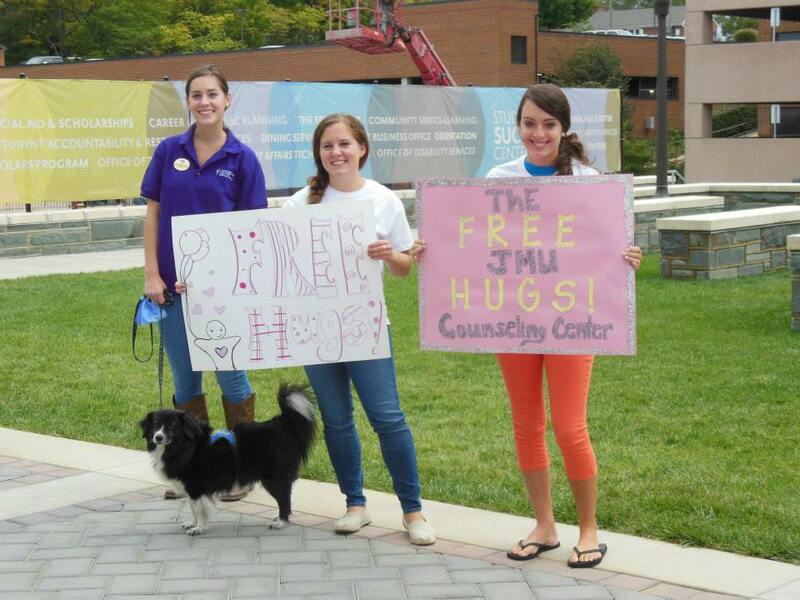 For more information about the counseling center check out their Facebook page and their JMU page. Also check out our post on the OASIS at The Counseling Center. Are you thinking about studying abroad?